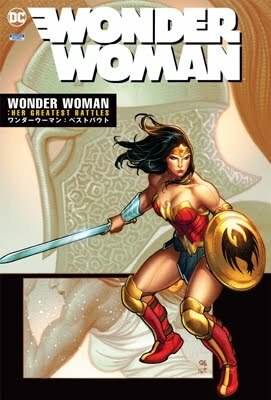 Written by GEOFF JOHNS; Art and cover by ANDY KUBERT and SANDRA HOPE; Black and White Variant cover A by ANDY KUBERT; Variant cover B by IVAN REIS and GEORGE PÉREZ The world-changing miniseries continues! Where are the World's Greatest Super Heroes? Barry Allen is on a mission to find out or die trying – and that may be what's happening as he tries to make lightning strike twice! Meanwhile, around the submerged Paris, the pirate Deathstroke confronts Emperor Aquaman! Variant Cover B by IVAN REIS and GEORGE PÉREZ Written by GEOFF JOHNS Art by ANDY KUBERT and SANDRA HOPE The world-changing miniseries continues! Where are the World's Greatest Super Heroes? Barry Allen is on a mission to find out or die trying - and that may be what's happening as he tries to make lightning strike twice! Meanwhile, around the submerged Paris, the pirate Deathstroke confronts Emperor Aquaman! 40 pg, FC Cover price $3.99. DC's website lists Flashpoint #2 with a June 8th release. Flashpoint: Secret Seven #1 is scheduled for a June 1st release. The world-changing miniseries continues! Where are the World's Greatest Super Heroes? Barry Allen is on a mission to find out or die trying – and that may be what's happening as he tries to make lightning strike twice! Meanwhile, around the submerged Paris, the pirate Deathstroke confronts Emperor Aquaman! Cover by GEORGE PEREZ FLASH FACT!